review – It's Time to Read! When Dorothy triumphed over the Wicked Witch of the West in L. Frank Baum’s classic tale, we heard only her side of the story. But what about her arch-nemesis, the mysterious Witch? Where did she come from? How did she become so wicked? And what is the true nature of evil? I chose this for our book club as I really enjoyed the musical but I have to say, I was disappointed with the book. It isn’t as close to the musical as I thought it would be and it was much heavier. The story follows Elphaba, the Wicked Witch of the West. We learn about her parents and the friviolous life she led – which could explain why Elphaba was green. We saw a glimpse of her life at university, where she starts her political campaign and then as she starts this campaign, we follow what happens to her. We see her fall in love, be consumed with enough hatred to attempt murder, we learn what she believes in and is willing to fight for and we see a compassionate side of her. There were some things I did enjoy about the book. I really like Elphie by the end. I liked her determination and wit. I also admired how she sought redemption at the end of the book. I thought the ending was very clever – and leaves the book open. I thought the last 200 pages were exciting and a good read – it was a shame I had to endure the first 300 pages to get there! The rating for this book at the book club ranged from 2 out of 10 to 8 ot of 10. The general consensus was that this book is too long and very confusing. It made for good conversation but only one person liked it. We found that there were parts some of us remembered that others had forgotten and parts some had understood and others hadn’t! None of us will be reading the rest of this series. I was surprised how different the musical is. In the musical Glinda – who is seen on the front cover of the book – and Elphaba are much closer and she features more in the show. However, in the book she isn’t a main character. It is the same with Nessarose, Elphie’s sister. The musical is light hearted and fun – this book wasn’t for me. I really enjoyed the show and am looking forward to seeing it again, but I didn’t really like this book. I’m rating this 3 out of 5 because there were some parts of the book I enjoyed and because it isn’t the worst book I’ve read this year. However, I don’t think I will be recommending it to anyone. Rachel Hore is one of my favourite authors and I was very excited to read this – and although I enjoyed it a lot, I don’t think this is her best work. The story is told from two viewpoints: Beatrice, an elderly lady with a surprising history, and Lucy, a twenty-something searching for answers. After Lucy’s grandmother died her Dad found some things about his past out and decided, without giving a reason, to divorce her Mum. After he dies, Lucy finds out he has discovered something about a man called Rafe. 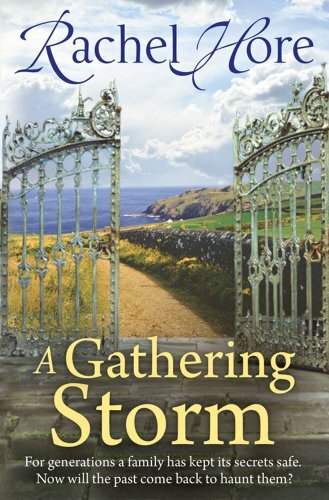 On a trip to Cornwall, she finds a lady who knows all about Rafe, and Lucy’s Dad Tom. Most of the book is told by Beatrice, who tells tales of her childhood spent with Lucy’s Grandmother, her adventures in the war, her history with Rafe, and ultimately about Tom. I liked Beatrice. She is written as a warm girl, who suffers a far amount in her life. I wasn’t completely convinced by all of her story – mainly by her experiences in the war – how she happened to join the same spy group as Rafe and how she managed to escape. Lucy doesn’t feature too highly in this story, although again there were things she did I wasn’t convinced someone would do – such as going out on a boat with someone she has just met. But these things aside, this is a good read. I was gripped. I wanted to know who Rafe was, I wanted to know about Beatrice and what happened to her and I wanted to know about Angelina Wincanton – Lucy’s grandmother. By the end I had worked out who Rafe was, and who Tom was, but that didn’t spoil the story. This is a well written book. It looks at life in the war, from two sides: the rich – Angelina going out dancing, messing with boys hearts, having coming-out parties and being spoilt; and the poor – Beatrice working hard for the war effort, falling in love and falling pregnant and the death of a fiancee. We spend time in occupied France, war-battered London and Cornwall. There were parts of the story that broke my heart and the whole thing kept me gripped. I enjoy Rachel Hore’s books. I enjoyed this book. This is well worth reading! This is good quality historical fiction. 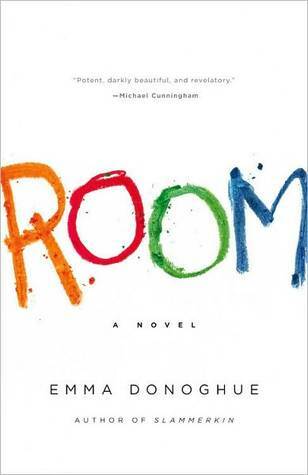 Room was recommended to me by a friend, who loved it, and I read it and recommended it to my Mum, who also loved it! This is the first book by Emma Donoghue I have read and I was a bit concerned that it wouldn’t be as good as I hoped due to all the hype surrounding the book, but honestly, I really enjoyed it. This story is told by Jack – a five year old boy. It is written using the language a small boy would use, which took me a little while to get used too. I found the first 50 pages a bit slow as I worked out what he was describing and what was going on. However, once past those pages I was hooked. I got used to the language and how Jack describes things. This book is actually very well written – it is very clever. The story is not a happy one. Jack and his Mum are locked in a room and controlled by a kidnapper. Poor Jack knows nothing but this home and doesn’t understand that it isn’t a good situation. When his Mum sets up an escape plan Jack doesn’t want to leave. Jack is very brave and goes through with the escape and it is fascinating reading about how he has to adjust to the world. They are things you would never consider – he has a bad immune system, the light is too bright and he can’t walk far. People scare him – in fact, the outside world scares him. It was a great read but if I’m honest I didn’t think the escape was very realistic. That aside, I enjoyed this book. There are not many characters in this book to comment on! I thought Jack was sweet but maybe a little demanding. I found his Mum an interesting character. I liked that she tried to teach him and that she protects him from the kidnapper. However, I felt some things strange, like still breastfeeding him at five. I didn’t like that after she escaped she attempted suicide either. It seemed strange that after she had survived and escaped what happened that she would give up?! This is a good book – a compelling read. This is well worth getting your reads on – it deserves the credit and attention it got. This isn’t a happy read but so well written and has a nice ending. This isn’t my usual read – or my Mum’s, I like chick-lit and she likes murders, but we both loved this book. Definitely read it! Eight years ago, Nova Kumalisi agreed to have a baby for Mal and Stephanie Wacken. Halfway through the pregnancy, the couple changed their minds and walked away, leaving Nova pregnant, scared and alone. Eight years ago, Stephanie was overjoyed at the thought of becoming a mother – until she found a text from Mal to Nova saying, “Goodnight, beautiful”. Terrified of losing her husband to his closest friend, Stephanie asked him to cut all ties to Nova and their unborn child. 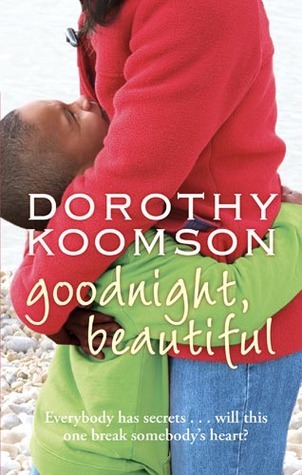 Dorothy Koomson is one of my favourite authors, and this book did not let me down. Koomson never shies away from reali life, hard hitting issues, and in Goodnight, Beautiful she looks at pregnancy, jealousy and the fear of having a child in a coma. Mal and Stephanie can’t have children, so Mal asks his best friend, Nova to be a surrogate mother. Nova and Mal have been friends for so long that Nova can’t say no. During the pregnancy Stephanie finds a text Mal had sent Nova, simply saying “Goodnight, beautiful”. Jealously soars through her and she makes Mal give up the child. She gives a string of excuses as to why they can’t take the baby…leaving Nova pregnant and without a best friend. Eight years on Nova has fallen in love with her boy, Leo and has married. Yet the unthinkable has happened – Leo was in an accident and been in a coma for weeks. Supported by her family, and Mal’s family – but not Mal, Nova has to struggle through this, while Stephanie and Mal are trying to resolve their marital issues, ones that spout out of Stephanie’s jealousy and Mal’s hurt and anger. Will Leo wake up? Will Mal ever see his son? Will Stephanie and Mal resolve their problems? This book is so touching. I loved the characters and the storyline is gripping and realistic. Koomson is an amazing writer and her books always move me. This story isn’t just set in the present, we watch Leo grow up and the problems this pregnancy caused between Mal and Nova – and their friendship before Stephanie. We see a full picture of what happened and the story is told by different people. In this book Koomson explores what jealously can do relationships, what effect surrogacy can have on the person carrying the baby and those around them, and how having a child in a coma can effect your whole world. This book seemed thoroughly researched and was very well written. I was gripped, I was almost in tears in many parts and as I reflect on the book I remember a beautiful book by a great author. My favourite character was Leo. He was so cute! I was willing him to wake up all through the book. Nova was brave, strong, scared and a lovely character. Her relationship with Mal was gorgeous – friends forever. It was horrible reading the effect one jealous person could have on a friendship – although I found myself feeling sorry for Stephanie as she battled the jealousy. That said, she was manipulative and lied – so sad to see what insecurities can do to a person. I wanted Mal to man up and see Leo regardless of Stephanie. Nova was his friend and Leo his son – he needed to be bold. I think all the characters were well thought out and well written and made the story come alive. I say this every time I write about Koomson: she writes female fiction – but it isn’t girly, easy-to-read chick-lit, it has meaning and substance. She writes about issues facing people these days and attacks them viciously. She writes really well and I am yet to read a book by her that I don’t like. I am so happy I read this book, and can easily give it 4 out of 5. In his monthly accounts of what he’s read – along with what he may one day read – Nick Hornby brilliantly explores everything from the classic to the graphic novel, as well as poems, plays, sports books and other kinds of non-fiction. If he occasionally implores a biographer for brevity, or abandons a literary work in favour of an Arsenal match, then all is not lost. His writing, full of all the joy and surprise and despair that books bring him, reveals why we still read, even when there’s football on TV, a pram in the hall or a good band playing at our local pub. I enjoyed this book but I found it to be a slow read. The book contains Hornby’s columns for the magazine the Believer, where he writes about what he has read. There are a lot of columns and a lot of books read, and although I can remember some of the good ones, I can’t remember them all! I found this funny in places, and hard to concentrate on in other places. However, overall my impression of Hornby as a writer is good and I am glad I kept reading. In fact, I already have another one of his books – this time fiction (About A Boy) lined up to read. Hornby is clever and honest. It made me laugh that he wasn’t allowed to mention books he didn’t like by title or author, but he was happy to say that he had read a book he didn’t like. I was pleased he took my reading philosophy: if you don’t like a book, put it down – there are too many other books to read to keep struggling through one book! There were some books he mentioned that I have read and didn’t like, whereas he did, such as A Complicated Kindness, but that has not put me off reading some of his recommendations. This is a slow but informative read. I found it easier to read if I took a break after each chapter. I liked also how he put in some extracts from books – made them seem more inviting. Overall, a good but not amazing book. I’m sure there were more but I can’t remember them! Be a MAN in the City Watch! The City Watch needs MEN! But what it’s got includes Corporal Carrot (technically a dwarf), Lance-constable Cuddy (really a dwarf), Lance-constable Detrius (a troll), Lance-constable Angua (a woman…most of the time) and Corporal Nobbs (disqualified from the human race for shoving). Ankh-Morpork is in trouble. There are a series of mysterious murders, a student who wants a king put on the throne and the “Gone”, a very dangerous weapon with a mind of its own. So who is there to solve this mystery? The Night-Watch, consisting of an adopted dwarf, a real dwarf, a werewolf and a troll. How will pan out….? This is another Discworld classic. It is number 15 in the series. I found this book just as enjoyable as the others. Pratchett’s writing was engaging and inviting. As ever, Ankh-Morpork is described so well that you lose yourself there. The characters have been seen in other books, and were hilarious at times. My favourites were Death, who makes a couple of appearances, with some very witty one-liners; Corporal Carrot, a very simple human who was adopted by dwarfs and Gaspode the talking dog. His manipulation of humans was classic. The conversations between Cuddy and Detrius were amusing, as trolls and dwarfs traditionally dislike each other, so they rivalry had to continue for show. Detrius learning to count and his use of numbers had me laughing too. Pratchett is very original with his ideas of a Fools Guild, an Assassin Guild and even a Dog Guild. This is a very well thought out and well written book. I recommend this book because it is engaging, full of danger, and adventure and hilarious. This is a grea fantasy book and well worth reading. When human beings don’t talk about love, things go wrong. If a mother had told her daughter that she loved her, they might not have spent years apart. If a man had found the courage to tell a woman that he loved her she might never have married another man. And if a father had told his daughter that he loved her when her mother died, she might not have suffered the breakdown that caused the rift with her own daughter. But if you are born into a family that never talks about love, how do you learn to say the words? SPEAKING of LOVE is a novel about what happens when people who love each other don’t say so. It deals passionately and honestly with human breakdown. And it tells of our need for stories and how stories can help make sense of the random nature of life. This is Young’s first novel, and in my opinion it is a success. The book follows three people: Iris, Vivie and Matthew. Iris is Vivie’s mother and suffers from mental health issues and suffers a devastating break down. Vivie is only young when this happens and it emotionally scars to the point she feels like her life is collapsing around her. Matthew is a few years older than Vivie and they grew up as next door neighbours. Matthew is in love with Vivie but cannot tells her how he feels. In fact, none of them can voice their feelings; leading to heartbreak and separation. But in a special twist of fate, a storytelling event where Iris is speaking brings all of them together…will feelings be voiced and hurts mended? This was a beautiful book. It took a little while to get going, and to be honest I did think about stopping reading it; however I am so glad I pushed on. As the story unfolds it is gripping and real. I would not class this as chick-lit or romance fiction because the main theme alongside love is mental health. Most of the consequences in the book arise from Iris’ illness and Young honestly explores the repercussion of being so ill and having a breakdown. One aspect I really enjoyed was the fact Iris was a story teller. Not just that but some of her stories are published in the book, and they were lovely to read. The book flits between Iris, Vivie and Matthew; and it flows easily between the three. Alongside that, they all slip into memories gracefully and this explains how they were feeling, recalls events that changed their lives and gives an insight into Iris’ illness. This is not a fast read, however it is a wonderful book and I recommend it for everyone. I met someone who changed everything. Matthias. My autistic sister’s guardian angel. Honest. Inspiring. Funny. Hot. And immortal. That was the problem. What could I do? I did what any other girl would do-I fell in love with him. Zoë’s sister darts in front of cars. Her brother’s a pothead. Her parents are so overwhelmed; they don’t see Zoë lost in her broken life. Zoë escapes the only way she knows how: partying. Matthias, a guardian sent from Heaven, watches over Zoë’s autistic sister. After Zoë is convinced he’s legit, angel and lost girl come together in a love that changes destiny. But Heaven on Earth can’t last forever. This book is released in August 2009, and well worth reading. Zoe is an 18-year with the weight of the world on her shoulders. Ever since her younger sister was diagnosed with autism her life started to go downhill. Her parents became wrapped up in their concerns for her sister, her brother has turned to drugs and Zoe has begun to party and seek out boys. Until one day when she is out at the park and her sister runs off. After frantic searching she finds her, with Matthais. A few days later she runs off again, and again Matthais finds her. Who is this guy? Her sister’s guardian angel. With him around life changes for Zoe. She starts to grow up and she falls in love, but how can love survive between a human and a heavenly being? This is a younger adult book, but I recommend it for everyone. Laurens is an amazing writing. I read this book in a day – the story just flowed off the pages, drawing you in. Laurens explores many difficult issues, from autism, to drugs, and she started to explore the idea of Heaven and God. All of which were done sensitively and well. The characters were lovely. Abria, the autistic sister, sounded lovely, even if she was hard work. And I too fell in love with Matthais. Calm, sensitive and caring, he sounded perfect. And of course, there was a bit of a cliff hanger at the end of the book, which I didn’t anticipate. And it has made me eager for the next installment. I cannot fault this book. It was a gripping, enjoyable, great read, and I highly recommend it. His solitude is broken by the discovery, one early morning on the flat sands of a low tide, of a child washed up on the beach. Somehow, she is still alive. In the village, a woman reflects on a lifelong fascination with an ancient love story as she faces an unknown future. The new arrival on the beach sets in chain a sequence of events that no-one can alter, and in this mystical and powerful novel, we witness a man experiencing our world as though for the first time. Discover Sam: the last good man on earth. Sam is a loner, but he likes that. He enjoys his own company, and the company of nature. His life is shaken up when he finds a girl washed up on the beach. He takes her in and looks after her. Isobel is also alone, back in the village to deal with her mother’s estate. She has been looking for love that she has read about, but without success. She crosses Sam’s path too, and things start to look up. Sam takes in the two ladies and his life changes for good…. This is a short book. It is descriptive and enjoyable. It is an easy read, with short, simple sentences. The book flowed and was a lovely read, even though it is a tragic read. It is beautiful read. Swift writes gorgeous characters, and wonderful scenery. Sam was sweet and caring. Isobel was vulnerable, with a troubled streak. The girl is silent, but was happy and a lovely read. I found the ending a bit strange. The majority of the book was written in third person and then in the last few pages the book switches to first person. The ending is sad, but I felt it was a bit inconclusive. However, I do recommend this book, I really enjoyed it. Set in nineteenth-century Oxford, and shot through with a powerful sense of magic, Elizabeth Garner’s new novel will appeal both to fans of historical fiction and to the huge Susanna Clarke/Philip Pullman fanbase. 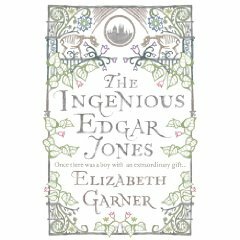 In nineteenth-century Oxford, an extraordinary child is born – Edgar Jones, a porter’s son with a magical talent. Though his father cannot see beyond his academic slowness, his abilities as a metalworker and designer are quickly noticed, and become a source of tension within the family. When Edgar comes to the attention of a maverick professor at work on a museum of the natural sciences, Edgar is at once plucked from obscurity and plunged into the heart of a debate which threatens to tear apart the university. Edgar’s position is a dangerous one – will he be able to control the rebellious spirit that fires his inventiveness, but threatens to ruin him, and to break up his family once and for all? I really enjoyed this book. I didn’t know what to expect from the blurb, and in fact it is a lot more complex than the blurb lets on. The star of the show is Edgar. He is an exception in every way. He is a genius. From a young age he is creative, exploring the local neighbourhood and inventing all kinds of things. He catches the attention of an Oxford professor, who uses Edgar for his needs and then dismisses him. Edgar, just a child, seeks revenge, which could cause mayhem and destruction wherever he goes, but can anyone, or anything really keep him down? This is an exciting, gripping book. Garner is a literary genius. Her descriptions are full and rich. Her writing style is easy to get into and enjoyable. She is imaginative and creative. I liked her characters, how each was different and how they all fitted together to make this wonderful book. She explores history, God and science and family values. All of which she does successfully. I don’t think the ending was particularly convincing, but that is the only compliant. This is a must-read book.